Elk Master is the finest cue tip that “Know-How”, skilled workmanship and proper material can produce. They are crafted from prime mineral-tanned, compressed leather creating a tip that will wear well and hold its shape. Elk Masters Tips are soft additionally they are impregnated with chalk with less miscues. They are recognized by their distinctive blue color. 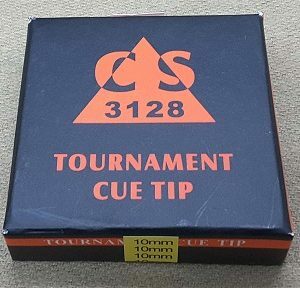 Tips packed 50 to each box, available in sizes of 9-13 mm.